The Life of Bon: Target: Liars? Thieves? Jerks? Today during second period, Sam leaned over to me and said, "Teacher. Look what's on the side of your desk." And so, like any normal person would when someone says "look," I looked. Three if you want to be exact. On the side of my desk. These high schoolers are sick. Sick, I tell you. I was in too much of a shock today to do much about it, but rest assured, I intend to drill each one of my classes tomorrow and find the culprit. Whoever is picking his nasty nose and wiping it on my school furniture certainly must pay! But that, my dears, is beside the point. This post was never intended to be about boogers. Please, this is a sophisticated blog, not some trashy high school blog. Show it some credit, will you?! This post, actually, if you want to know, is supposed to be about the lies that Target tells. Yep, you read right, my friends, the lies of our favorite supermarket-turned-department-store, Target. As of three hours ago, I am convinced Target exists to make my life miserable. This afternoon I had to make a few returns at good old Tar-jey. (That's how rich people say it. I'm rich, if you didn't know. You seen what high school teachers are making now days?) The return was necessary because of a bad shopping habit I picked up from my mom. This is also because I legitimately enjoy making returns due to the fact that I feel like I am making money by shopping and then returning. I'm well aware that it doesn't work like that, but just let me enjoy the thought, will you? After I made a successful return to Target, I decided that it couldn't hurt to look around a bit. You know, for more stuff to return later. I did some perusing, and within no time at all I had in my arms four dresses, a pair of shorts, three swimsuits, and two shirts. I paraded on back to the fitting room and politely requested a room- to which the lady attendant with very skinny arms told me that I could only take six items in. Now. A little background. This isn't the first time a lady attendant at Target has told me to limit my items. Last time I was a Target another chick had very sternly asked me how many items I held in my arms. I replied "about five or six." She then counted my items and discovered I actually had seven items. She then refused to allow me to take them all back. Not only was I humiliated by her counting each individual piece of clothing to catch me in a lie I didn't know I was telling, I was annoyed and frustrated that I couldn't take the extra piece of clothing in. I begged. I bargained. I bullied. The girl didn't relent. And so, alas, I went back to the dressing room with only six items in hand. I never even tried on the seventh item, just to stick it to Target. BACK TO TODAY (and try to stay on topic, will you?) "You can only take in six items and will have to come back for the rest," Skinny told me. "Can I just take all of them back?" "Can I just hang the extra items outside my door?" "So you're telling me that I have to get fully dressed again, bring you the items I don't want, and then pick up my new items?" "Doesn't that seem like a waste of time?" "Can I call you to bring me my other items after I have finished the first round of clothes so I don't have to get dressed and come back out here?" "I can't guarantee I'll be here." "Then can you just let me take them all back? I"m trying on swimsuits here." "No ma'am. It's the rule." Growing increasingly exasperated at the situation, but still foolishly convinced I could reason with Skinny, I tried again. "I understand that you didn't make the rules and you just work here, but I guess I am frustrated because it seems so pointless. Do you know the reasoning behind why I can't take more than six items back?" A slight pause while she considered, and then Skinny replied, "We do it so that we can regulate and keep track of how many items are back there." "So it is a shoplifting prevention?" "It's so people don't steal?" Now. I don't know about you. But if I were a thief, (and I am not, I repeat, I am not a thief) I would never draw so much attention to myself by taking something back to the dressing room and telling a Target worker that I had that piece of clothing, and then trying to steal it. I would simply slip my item of thieving choice slyly into my purse and I'd get the heck out of the store. What criminal actually needs a dressing room to accomplish their mischievous shenanigans? Eight minutes later I had tried on the six pieces of clothing, redressed myself, and was now emerging from the dressing room with my first round of clothes in order to acquire round two of clothes. (Does this sound like a circus to anyone else besides me?!?!) Skinny did not look up from the garment she was hanging up. Instead she mumbled, "Just throw them in that basket" and continued on, not paying a lick of attention to what I was doing. I chucked them, watching them disappear into a shopping cart filled to the brim with pieces of unwanted clothing. She did not stare back. In fact, she ignored me. No check to see that I had brought out all six items. No request for my fluorescent pink 6 door hangar she hadso generously given to me. No wondering if I brought everything out of the room. Nothing. I knew the whole shoplifting thing was a bluff! Skinny couldn't care less if I stole three bikinis and a snickers bar. All she cared about was that I only take six items back. 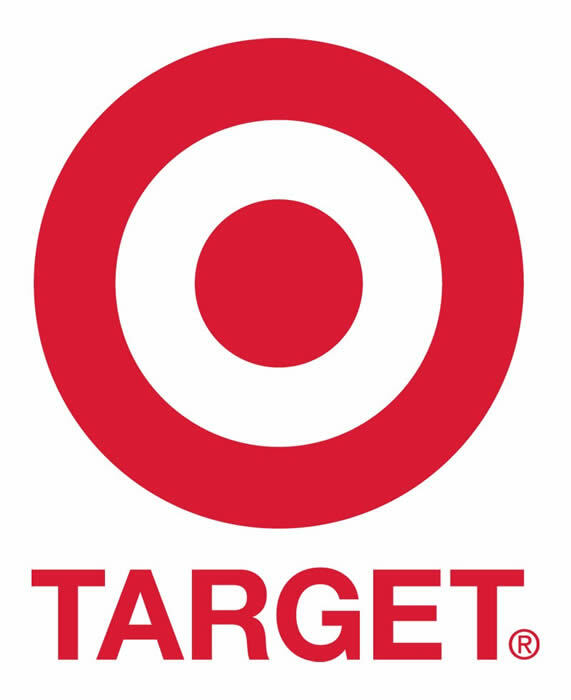 The shoplifting thing was a lie- a completely useless rule that Target made up without a reason and that Skinny insisted be followed, despite having nothing to back it up. IT'S TIME TO TAKE A STAND! As part of my ever-faithful resistance to the man, I firmly believe that rules like this should not exist and when they do exist we all have a responsibility to break them until they do not exist anymore. Maybe the rule does have a purpose. Maybe there is a sound reason and Skinny didn't know it so she just made something up to pacify the pissy customer (sorry, mama, I know you hate that word). I've never worked in retail, so I'm no expert, (and if you have worked in retail, please, enlighten me!) but I do know that if you are going to enforce a rule you gosh darn better know the reason behind it! And do you know what the craziest thing about all this is? This post started out with boogers. My, how far we have come. Haha, this is too funny. I work in retail- we have to watch how many jeans they take in and come out with because people will try to leave the jeans they are trying on under the clothes they came in! Crazy! Equally stupid? Target won't let you take a shopping cart back there even I'd there IS NOTHING IN IT except for my one year old. How am I supposed to try on clothes while I keep my son from crawling into the other stalls?? Those rules ALWAYS make me so angry! I usually try to sneak more back just to stick it to them! haha. haha.... yes. I agree with all of this. but mainly the "enjoying returns" part. So glad someone else feels the way I do. And with that said-- tomorrow morning I'm off to return a bra to VS that I bought today. (for a legitimate reason-- the saleswoman pressured me to buy it because I had a $10 off any bra coupon. I got home only to realize I don't need it at all). Haha @Rachel I was just in a changing room when someone son crawled under my stall and got dragged out by his feet and that was the last I saw of him. You're right those rules are pretty crazy. Why can they not let me have a number six, and then a number two for instance so they know that I have 8 things in my change room?! Target has a lot too work on if you ask me! Old Navy lets you take in as many items as you want. They could care less. Target should take some pointers. As an employee of Target, there is a reason for this rule. Number one, it is significantly more difficult to eyeball seven plus items over six. I typically eyeball count them when you're walking in, and I'll do the same when you're walking out. That's not to say that I don't bend the rules sometimes. If you only have seven items, are over the age of 19, and you aren't acting suspicious, then I don't really care, because the second reason is to prevent shoplifting (obviously). I know it can be a pain sometimes, but my Target had clothes stolen from them 3-6 times on any given day....and those were the clothes that we could find tags for in the fitting rooms. To be honest, I HATE the people that insist that they are above this rule. I know it's annoying, but I can get in SERIOUS trouble for breaking it. If someone asks me, then I'll usually let you go for it. For instance, if you're a mom with three screaming kids in your cart along with $30 worth of merchandise, I'll let you take your whole cart in. The likelihood that you will steal is very minimal...but it has happened before. If you're at teenager, sorry, but you're never going in with more than six items. If you're under the age of 22 and you're with your friend and obviously not going to buy any of the stuff, SOL. The fitting room attendants can really get in huge trouble for not sticking to these rules. They are there for a reason-- because somebody before you burned the company enough to make them take on this policy. I have had secret shoppers try to get past me with DVDs hidden in their folded jeans, teenagers hide one shirt inside of the other, and jewlery stuffed in the pant pockets. My coworker did not catch one secret shopper and she got written up-- that is something that will count against her on her yearly review and if she gets enough write ups, they'll fire her. Thanks for this response. I work at indoor pool and deal with customers who don't understand te reasoni behind the rules constantly. I must say, It has given me a lot more grace and understanding for those working in jobs that interact with the public on a regular basis. So often seem lying pointless rules are endowed because a few people spoiled it for everyone else. And there is no way the rule is goin to change because "good" people try to show the idiocy of the rule. Trust me, we know they are idiotic; but because of a few people, they are necessary. SO THEY WILL STAY. I try to just have grace and live with it. It makes everyone's life easier....especially the poor employee who has to enforce a rule thy disn't make and probably deal with angry customers very few minutes. That doesn't justify them taking it out on you, but no one is perfect. i hate that stores do that...particularly target. i always think in my mind...do you really think your stuff is worth going to jail for? um...no. loved the post. I hate clothes shopping, so I've never been told to try on stuff in rounds, hahaha. Actually, I'm not a huge fan of Target. I once bought some pore strips there (and, granted, maybe I should have shaken the box, but I didn't), returned home - which is 30 minutes away! - and opened an empty box. I had already ditched the receipt, but I called them, told them the situation, and I got the old, monotonous line: "Sorry, but you can't return anything without a receipt". Needless to say, I'm now going to shake the box of pore strips - just to check. And I'm going to purchase my wonderful Bertolli's from Kroger, where it's actually cheaper. Any progress on the booger giver? Love the blog--love this post. This is hilarious, you sound like my kinda gal! I received your comment over at my bloggy blog and popped over for a visit. So glad I did! I'll definitely be following. I once substitute taught a 4th grade class wherein a little girl flipped me off behind my back, and her classmate insisted on writing a note to the regular teacher to tattle on her. It read, and I quote, "Dahlia sticked the finger at Poole." Ha! 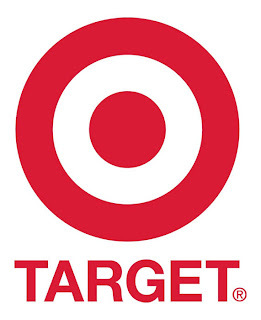 I love Target but those Nazi dressing room attendies are ridiculous sometimes... One time I walked into the dressing room area holding a pair of shoes looking for my sister. The lady then proceeded to yell at me from her little desk saying that I could not take the shoes in with me. I wasn't even trying anything on I tell you, that was my sister. Thanks for the post on my blog. I have most definitely enjoyed reading yours! Changing rooms creep me out. I would almost rather buy it all, take it home, try it on, and return what I hate. P.S. the other day, I saw a girl walk into a bathroom with a shirt in hand, walk into a stall, wait a sec (not even a flush), and walk out wearing the shirt. Nursing moms see all! Anyway, maybe they just need to move the fitting room people with their blasted numbers over to the bathrooms instead. That's so annoying! Why don't they just have tags that you can take in that go up to a higher number? So much for the customer always being right. I can understand the whole rule since I worked at Ross last year (so many people coming in and out, at least over 200 per every 30 minutes), but Target where they are lucky if they get at least 20 customers back there an HOUR? Not clausible for six items, especially since my expertise was the fitting room. I could go on and on and give you statistics about why Target does it and how much money we save. People steal. Period. That doesn't mean you're going to steal. But the Target employee doesn't know that. We limit items in the Fitting Room and we put protection on high end items. This is all to keep shortage down which is good for us as a company. But it's also good for you as a consumer. The more shortage a company has, the higher the prices have to be to make up for that shortage. I'm sure there are rules at the school that you think are nuts but you follow them anyways. Even if the kids give you a hard time about them. They are there for a reason. Think about that the next time you get angry at someone for doing their job as ridiculous as it seems to you.